Tunday Kababi in Chowk reopens but sells chicken and mutton for the first time ever, as meat scarcity hits Lucknow! The name almost as famous as Lucknow itself, Tunday Kababi, Chowk had to down its shutters for the entire day yesterday as the crackdown on meat and slaughter houses intensifies in the state capital. The shop was shut for the entire day on Wednesday as the meat was not available. If we don’t get meat, how will we run the shop? However, chowk outlet reopened on Thursday but sold mutton kebabs and chicken dishes for the first time ever. 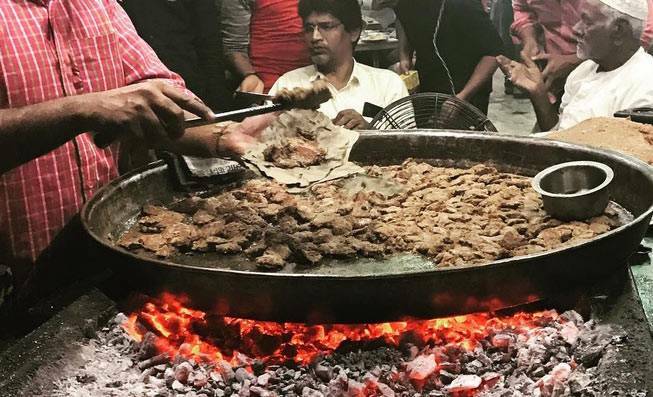 If you like mutton kababs and not the signature bade ke kabab, then no need to worry. Usman said the supply of mutton and chicken had not been affected so far, but expressed apprehensions about a meat shortage in Uttar Pradesh in the future.